Situated on a five-acre property, Mayfield Falls is a great spot for camping, hiking and picnicking. 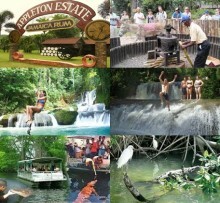 Other activities include cliff jumping, cave diving, relaxing in one of the natural Jacuzzis and enjoying a massage. The staff at Mayfield Falls welcomes everyone. 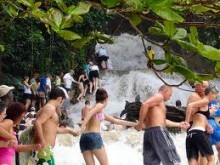 This tour can be reserved with us from your hotel/villa or any cruise ship port on the island.